I interviewed Vlado in a correctional-educational home. He is an Albanian-Macedonian eighteen year-old from Skopje. He speaks English quite well and part of the interview is held in English. I interviewed him on the treatment by officials throughout the criminal procedure and his stay in the correctional-educational home. 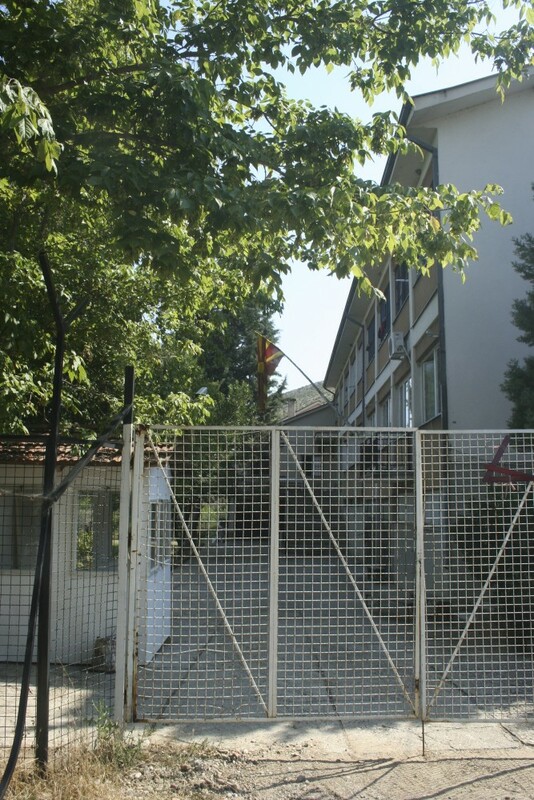 At the time of interviewing, Vlado had been in the correctional-educational home for 6 months. “I grew up in a family. I have been living very well. I have been going to school and I finished high school and my grades are excellent. I was even engaged in an organization, an NGO, we were helping the people. I was in English courses and we were organizing and teaching oriental courses. This was my first time [conflicting with the law] and when the judge decided, he did not look at that and he just brought the decision. In my case there were no facts. I was in the wrong place in the wrong time. I was never even in a police station before. Can you tell me what it is like to live here? “The living conditions are very, very bad because the toilets are not functioning, windows are very old and broken and there is a very unpleasant smell coming from the toilet and the sewerage. We have nothing to do during the day and during the summer period it is very hot. We do not open the windows during the summer because insects come in, and snakes. The door in the toilet cannot be opened. We do not open the door from the bedroom because the smell from the toilet would come in. There is no school here. That should be the main thing here, the school. This is an educational correctional home and there is nothing. So the system here is the same like in prison. Because this used to be a prison in the past, but for adults. They call it correctional but we spend the whole day doing nothing. “That is undecided. It is between one to five years. It depends on me, if I am good or not. As the judge told me, they say I will be one year at least. They actually do not want to count the months I spent in pre-trial detention. That is the worst thing, because I was alone in the room for 2 months, 23,5 hours per day. I had half an hour outside the room. I had no contact with anyone. It was so hard. I was seeing adult people, six or seven in one room and I was the only child who was the only child in the room. It was very difficult. Whenever I remind myself of this, I start to sweat and I feel very anxious. “After school I was going for a walk to the center of Skopje with my friend. It was the 5th or 6th of September of 2013. I was seventeen. There was a football game. Often fights happen. There was a big fight and we were in the middle of it. I don’t know what happened, there were a lot of people. We were running away and someone attacked us. We were running over the stone bridge. We got a taxi to run away. Then the police stopped us and asked: where did you come from? They took us to the police station, That was around 6 PM. I told them [the police] to call my parents and they did not want to do that. I had some problems and I need my spray for asthma and they did not want to do that. Then I start not to feel good and at the last they called them to get my spray and that is how my parents found out. That was about 7 PM. They then interviewed me for 1,5 hours. From the first police station they transferred us to another police station. Me and my friend were in a room with police and we asked to call our parents. They did not let them in at the second police station. In the first they were let in and they were present at the interview. They were so rude. There was one policeman and he was so rude. He was shouting at us. They put us in a cell downstairs. There was just a little chair. It was me and my friend. They kept us there until 6 or 7 AM. At 6 or 7 in the morning they sent us to the judge. They gave us first 30 days to Sutka [pre-trial detention]. I know a little bit about how things go, I know children can be held in places like that for up to three months. I was there longer and they did not look at how I have been and how have I been feeling there. Nobody cares about that, how long have I been there, they even do not count. That is the worst thing. I know about this because I have high school economics. The police did not give food. I asked because I was not feeling good, I asked to go to the toilet. They let me go to the toilet and that is it. I did not even get water. The first time I ate was in Sutka. “ I will continue from here, I do not want to lose another year. The fact I have been here affects my possibility for entering university. I cannot be a regular student but an extraordinary student and I cannot go to every faculty. I want to study linguistics and I can go to that department.